Tiger Woods: Will He Ever Hold a Major Trophy Again? Tiger Woods’s decision to pull out of the Arnold Palmer Invitational at Bay Hill is stirring up concern in the golf world. With the Masters less than a month away, the concern is warranted. Woods, like other players, has traditionally used Bay Hill as a warm up for the Masters, the first major golf tournament of the year held in Augusta, Georgia. He has won at Bay Hill eight times, a dominance that merited him his own section in the “history” portion of the tournament’s website. 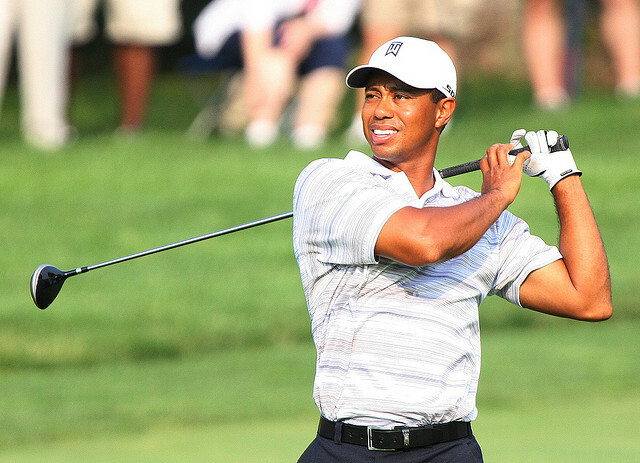 It is the second time this month Woods’s back pain has prevented tournament play. He pulled out of the Honda Classic earlier in March, and was plagued by spasms at another tournament, the WGC-Cadillac Championship in Doral, Florida. Woods ended that tournament T25, shooting a 78 in his final round of play. As SB Nation points out, this was his worst round at Doral ever. These events were merely the minor warning signs; the biggest signal that something is seriously wrong stems from his backing out of Bay Hill. It is the warm-up for the Masters, where Woods has won four times; for two of those wins (2001 and 2002) he was fresh off a victory at Bay Hill. As previously mentioned, Woods shines at the Arnold Palmer Invitational. He has started there sixteen times, which means his eight victories equate to a 50 percent success rate. Instead of turning his season around at Bay Hill, it appears the start of the season has slipped even further away from Woods. The golf legend was more candid on Wednesday at Bay Hill, with the PGA tour covering remarks he made at the tournament. Palmer discussed Jack Nicklaus’ career, 18 majors won over 25 seasons of professional golf. Woods, who is 38 years old, has won 14 majors since turning pro in 1996, placing him second behind Nicklaus for most majors won. Given recent events, Palmer questioned if Woods would break Nicklaus’ record. “I don’t think 38 years is the ultimate stopping point for his quest to do what Jack did,” Palmer said. It’s going to be tough. “It’s going to be tough to keep the concentration and the type of the game that is necessary to win majors.” Palmer went on to say that it will be difficult for any player to exhibit the same dominance as the depth of skill among players broadens. In that same press conference, Woods said it was important to make every year he plays on the tour count. ”I view it as every year’s a big year … every year counts.” This year is certainly off to a shaky start, and anyone who wants to see Woods chase Nicklaus’ record 18 majors is certainly hoping for a reversal of fortune for the once predictably dominant star.